The user can convert OLM File data into PST format and before exporting data user can preview of all the items of OLM file such as Email, Tasks, Contacts, Tasks, with the help of the software and smartly export OLM file data into PST Format. To avoid corruption issues in resulted PST File due to their size, software provide an option to split resulted PST file according to their size in MB or GB, before exporting them in PST format. 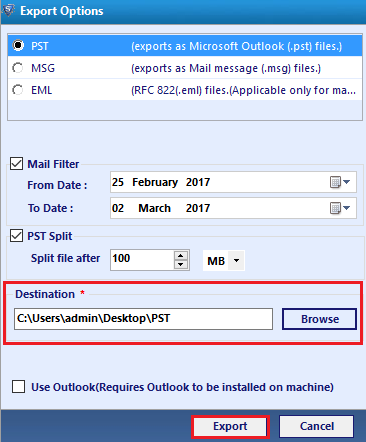 To Export specific emails of offline olm file, user can apply a Mail Filter option to select emails of specific dates, and convert them into PST format. 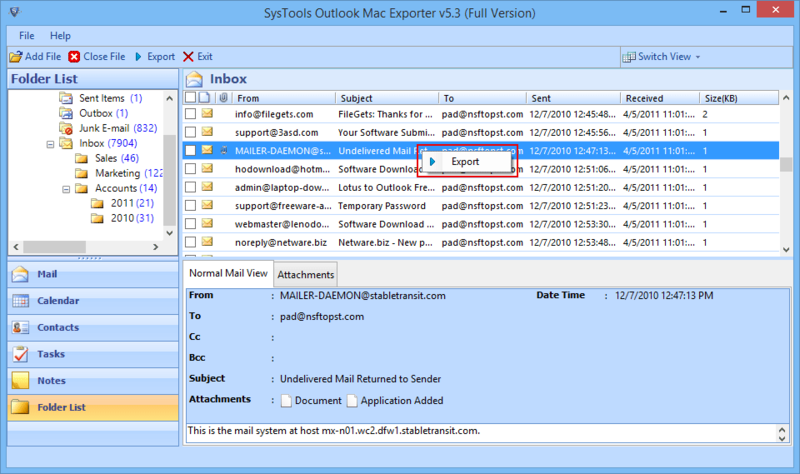 This option helps user to exlcude unwanted emails during the export process. The OLM To PST Utility provides users the option to convert and save the needed items. Data items to be converted can be selected before the export step is executed. Once desired items are chosen, the export operation can be performed. To avoid rescanning of PST File again, OLM to PST Tool provides an option to save scan result for future use. So that, the user doesn't have to load file software again. 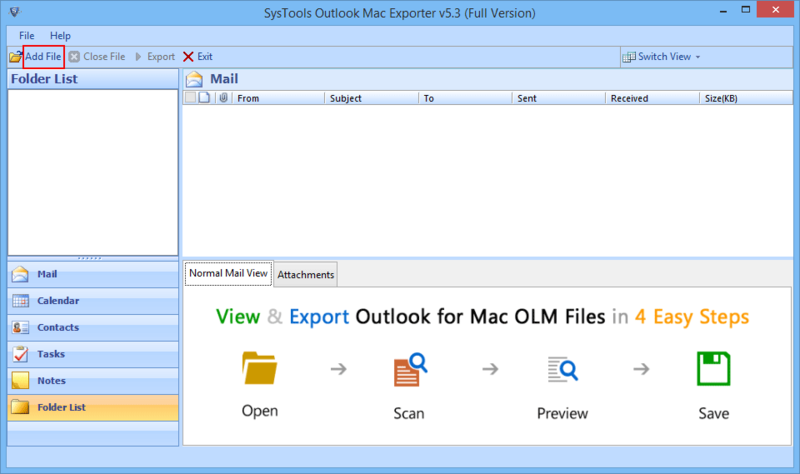 An OLM to PST Converter software helps users to export MAC Outlook OLM file into PST Format. The software provides a smart way to convert OLM fileitems such as emails, contacts, tasks, journal & other data. The software doesn't change any meta-data and equipped with mail filtering and splits option to export desired selective data items. Sometimes need to switch the account from Mac Outlook to Windows system, due to any personal or corporate reasons. 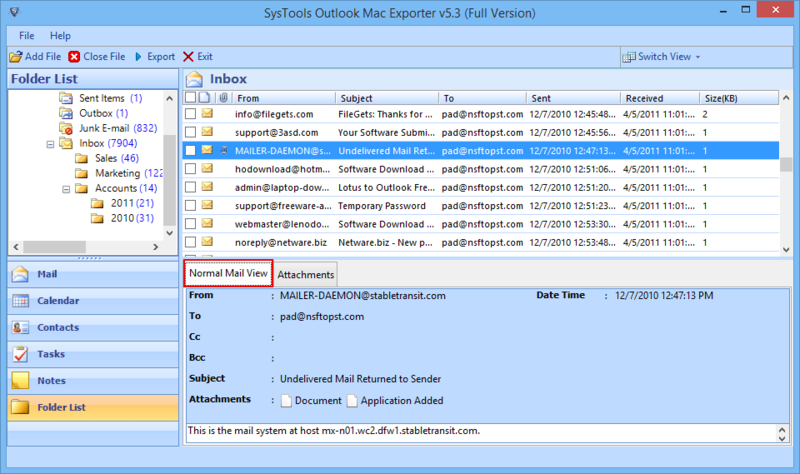 As we know Mac Outlook stored all emails and data in OLM format and to move manually all these data into Windows format of Outlook supporting PST format is a lengthy and time-consuming task and user cannot directly move all the data into Windows Outlook directly. 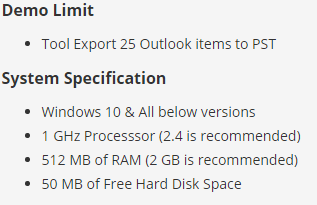 Even there is no utility tool given by Microsoft to export files. To solve the problem of "how to convert OLM To PST format", a user can go download of OLM to PST Converter Tool demo version. Demo version works same as the Full version except the user can only export 25 file items per folder. A user can go for MAC OLM to PST Full version download to export all emails data files and apply different option given by software to export OLM file into PST form. Now click on the Add File option to select the OLM File from the system. Now you can view all details of Mailboxes and all other details of OLM file in software. 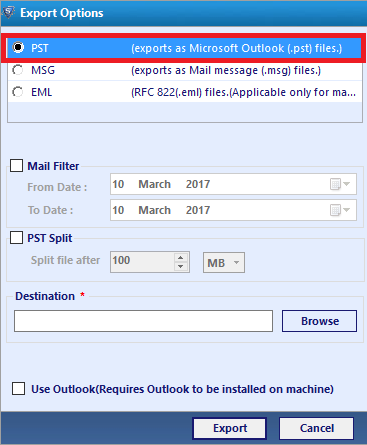 Select Single email or multiples emails and Right click on it to Export them in PST Format. Check the radio box of PST File to export selected OLM file in PST format. Browse to the Destination Path to save the resulted PST File in the system. Click an Export option to start the Conversion process. Navigate to the location where you had saved the PST file in the system. OLM to PST Converter Tool Replies All Doubts & Queries! Does supports corrupted OLM fille? Since it is not a recovery software, Tool could not remove corrupted OLM files, for proper functioning, a non-corrupted OLM file should be used. Is software change any metadata associated files related to data items during the conversion process? 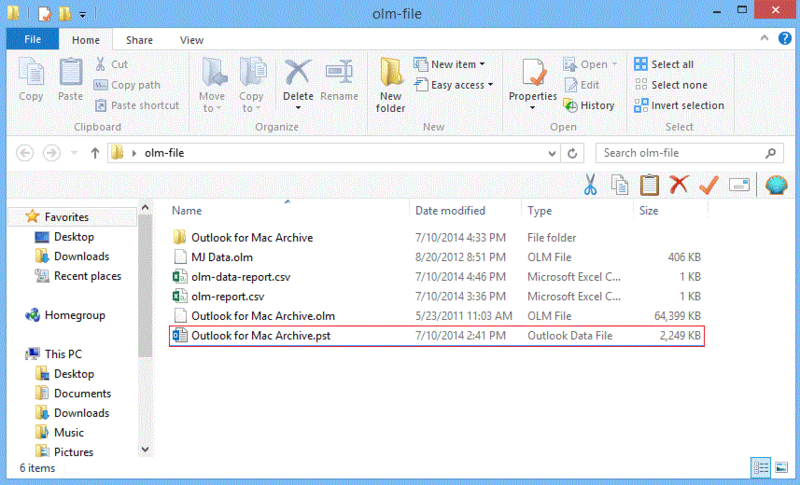 No, OLM to PST utility doesn't change any metadata of email files and attachments. The software also maintains a folder hierarchy of OLM files after scanning. What kinds of prerequisite required by the software to run properly? To Run software smoothly, following conditions should be fulfilled. Thinking about how to convert OLM file To PST format in windows version finally, my friend recommends me OLM To PST Converter Tool to solve this problem. Software surprises me by its performance and effectiveness of work conveniently. I am quite satisfied with the way software works. As I am novice kind of person and tools still helped in exporting emails from OLM files to PST format! I got all of my Mac Outlook Emails files in PST format supporting MS Outlook for Windows. Due to some reason, I have shifted my work from Mac Outlook to Windows Outlook. Thinking about how to change OLM file to PST format. The tool saves my time of the conversion using quick and easy steps and even doesn't change my emails data or attachment files related to it. Option to Split File helps me in saving resulted in PST in many parts. Confuse while, how to convert contacts, e-mails and calendar data from Mac Outlook & move them into Microsoft Office. But after using OLM to PST Converter, I think it is one of the best converter software available in the market.